It’s no secret that the Broadway musical was based on a film that was a box office flop and inspiration for the Golden Raspberry award. Xanadu the movie which was released in 1980. Starring Olivia Newton John and featuring Gene Kelly’s last film role, has managed to attract a cult following and lucky for us a silly, campy, feel good musical as well. The DCPA production seems a perfect fit for the Galleria, making the show interactive and intimate. The set, functional as it is, is almost forgotten and lacking in production. Fortunately, Xanadu doesn’t need hydraulic lifts to make it soar. The costumes by Meghan Anderson Doyle are appropriate, reminding those of us who grew up in the seventies of our own wild toga parties. Especially effective is the costuming and set collaboration when Clio sings to Pegasus late in the show. Clio is a muse, the youngest of Zeus’s daughters, yet somehow in charge. Clio and her sisters are brought earthbound by Roller Skater and chalk graffiti artist, Sonny. In a plot that is rather simplistic and cheeky in all its limitations, the two fall in love even though it’s forbidden by Zeus for a muse to love a mortal. It’s not all Clio’s (now disguised as Kira) fault, for her and Sony have been the victims of Clio’s Jealous sisters who have influenced the love affair with hopes of Zeus banishing Clio. It’s not as complicated as it sounds. Throw in an old MGM cliché, “hey kids, let’s build a barn and put on a show!” and a lot of neon, pluckiness, camp and out-right nonsense and you have Xanadu. The Roller Disco of Sonny’s dream. That being said, there is so much good stuff happening in this show that it’s impossible not to be entertained. The cast has been paired down, doubling, tripling even quadrupling some of the actors, but it totally benefits this team in some self-aware humor that makes for some cheap laughs. 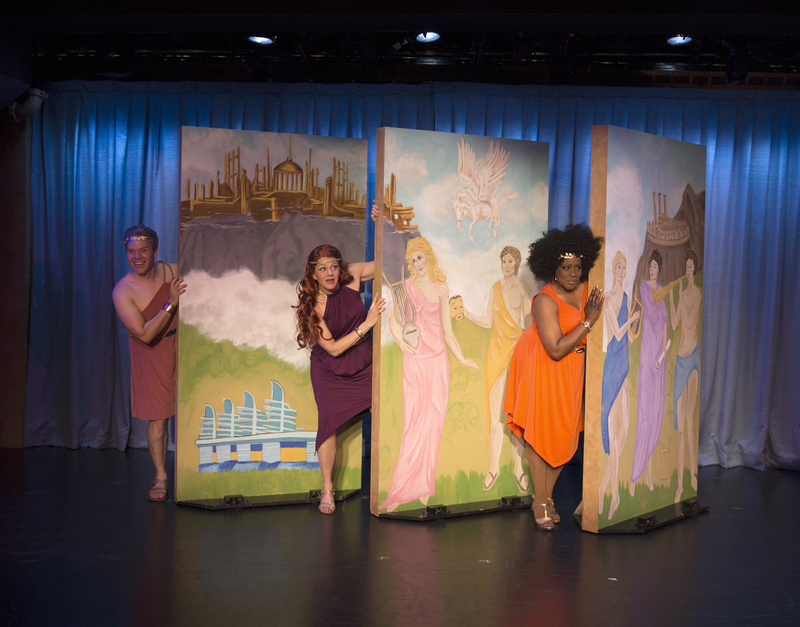 The interactive moments in the show, are used sparingly, but with great effect and again more laughs. The entire cast revels in this tongue in cheek nod at the show they are doing and the movie it was based on. It’s not great art people, it’s probably not even good art, but it is genius theater. a total escape, refreshing and a relief requiring no thoughts about politics or social wares. 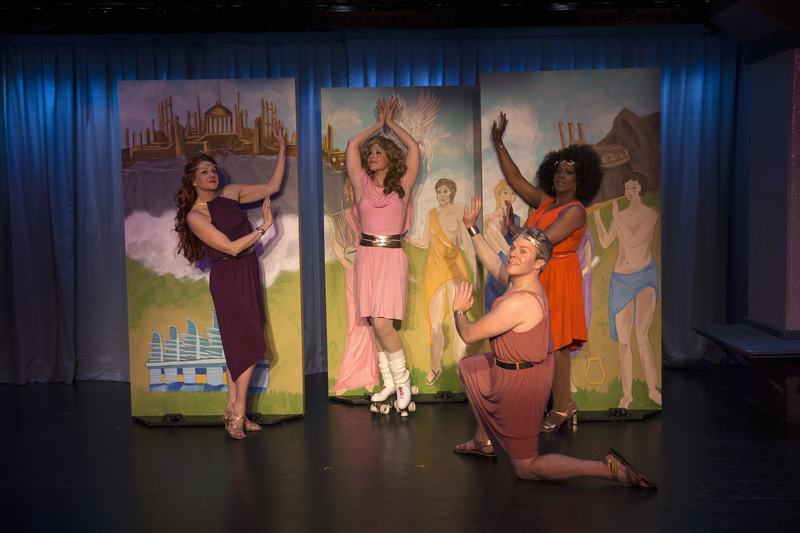 Directed and choreographed by Joel Ferrell and assisted by Piper Lindsay Arpan, the show moves right along and perfectly recreates one of those movie montage clichés when the old dusty “barn” becomes the new shinning Roller Disco. It’s achieved with such a small cast, but the staging is brilliant. I also found the choreography of Whenever You’re Away From Me to be simply inspiring. 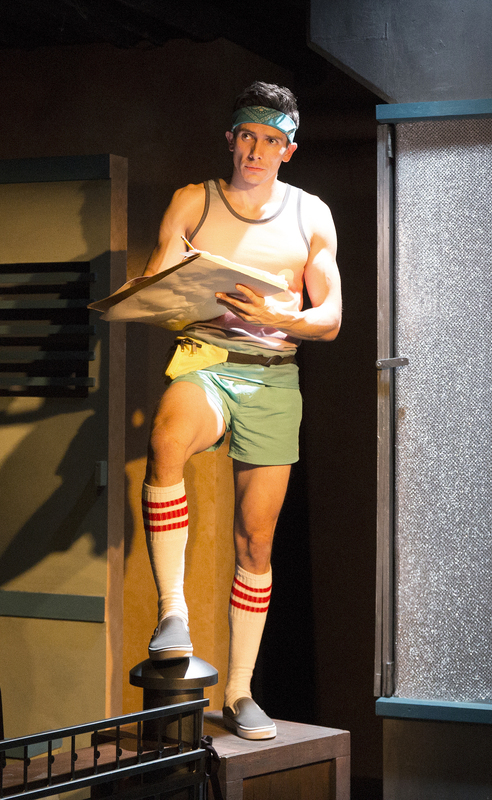 Aaron Vega as Danny, practically floats across the stage. It’s a slight distraction from the bawdy silliness of the rest of the show, but so gorgeous to watch that you won’t mind. Keep your eye on Vega, he is simply excellent in this show, popping in and out of different characters, he totally knows camp humor and garnishes much of the laughter in the show. Along with Vega is a who’s who list of local artists who have proven their acting finesse on stages all over Denver. As a cast, they work so well together that they cannot hide the glee and the fun they are having doing this show. Lauren Shealy as Clio is everything. Goofy, innocent, naïve and able to illicit laughter with shy, awkward glances. Marco Robinson pairs nicely with Shealy, mostly playing the straight man, but without skimpy on any of the punch lines he is given. Here also is a pair of vocalists that blend without distracting from the other in duets like, Magic and Suddenly. Sheryl McCallum, who amazed me earlier this year with her performance as the Mother in Passing Strange, gets the opportunity to go over the top with her performance in Xanadu. Her vocals are in tip top shape and she proves it on Evil Woman. Sarah Rex, playing multiple roles like the rest of the cast is glorious in her willingness to contort her face into hysterical melodramatic farce. In a less talented cast, she would be a scenestealer, but the talent in this show simply refuses to let any of them be upstaged. 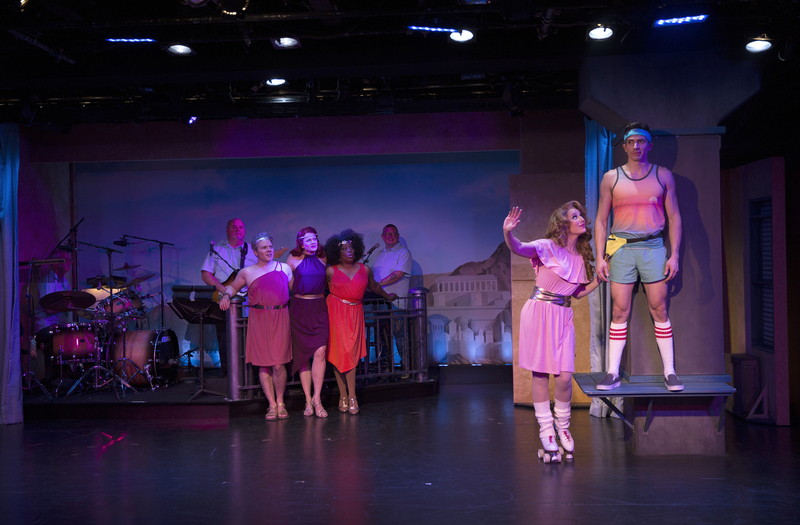 We are decidedly not living in Xanadu as any quick glance at a newspaper will assure you, but with the Denver Center’s production, Xanadu is a pure, goofy farce of a good time that makes for an enjoyable, wondrous evening of theater. 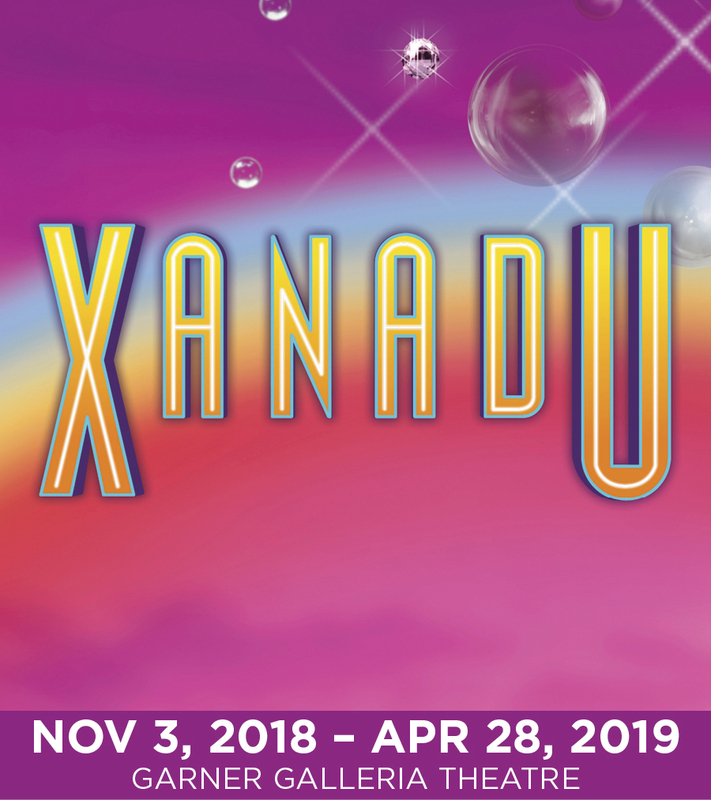 XANADU is enchanting audiences now until April 28th at the Garner Galleria Theatre in the Denver Center Complex. For tickets or more information, contact the Denver Center Box Office by calling 303-893-4100 or online at www.denvercenter.org.